* HS Today’s Anthony Kimerly (Homeland Security Insight and Analysis) reports… NAS report delayed again … CASE CLOSED blog cited « CASE CLOSED … what really happened in the 2001 anthrax attacks? The investigation was supposed to take 18 months, with a final report expected last October 24. 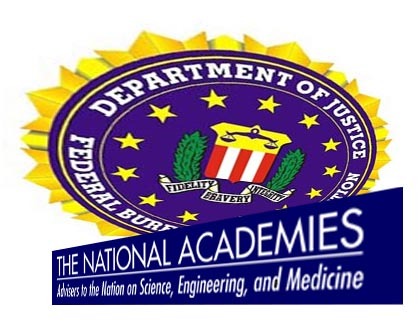 Under its contract with the FBI, the NAS Committee on Science, Technology, and Law is to “conduct an independent review of the scientific approaches used during the investigation of the 2001 Bacillus anthracis (B. anthracis) mailings. Under the terms of the NAS contract with the FBI, NAS is not permitted to draw any conclusions regarding the guilt or innocence of anyone considered a person of interest by the FBI. Since the NAS’s investigation began, most of the meetings of the Committee on Science, Technology, and Law have been closed to the public. The last meeting that took place on June 2 in Washington, DC was advertised as an open meeting on a NAS website, but it was “closed in its entirety,” the Committee’s website shows. “The NAS now says the report is expected to be issued in February 2011. I’ll believe it when I see it, and when there finally is a report. How likely is it that NAS will say only what the FBI approves or directs,” said Lew Weinstein, a longtime critic of the FBI’s investigation. Weinstein is the former president and CEO of Public Health Research Institute, a biomedical research organization focused on infectious disease research. Meanwhile, the Government Accountability Office (GAO) is investigating the scientific and technical methods used by the FBI during its investigation at the request of Rep. Rush Holt, in whose central New Jersey district the anthrax letters are believed to have originated from a postal box, killing five. At Holt’s request, “GAO will take a much broader approach in examining the scientific underpinnings of the FBI’s investigation,” he said. “In the wake of this bungled FBI investigation, all of us – but especially the families of the victims of the anthrax attacks – deserve credible answers about how the attacks happened and whether the case really is closed,” Holt said in September when he announced GAO was investigating. Last July, following a meeting with the NAS committee, Holt said “simply stated, our government – and specifically, the FBI – suffers from a credibility gap on this issue. … Kimerly is the Online Editor/Senior Reporter and HSToday eNewsletter Editor … he is a respected award-winning editor and journalist who has covered national and global security, intelligence and defense issues for two decades. Well, perhaps our longstanding attention to the FBI’s failed anthrax investigation and the NAS failure to operate openly and on time as they promised is beginning to get some attention. Thank you Anthony Kimerly. Thanks also to Ken Dillion and the University of California for sponsoring and organizing the recent anthrax seminar which has been instrumental in generating this renewed attention to an important and unresolved national security issue. 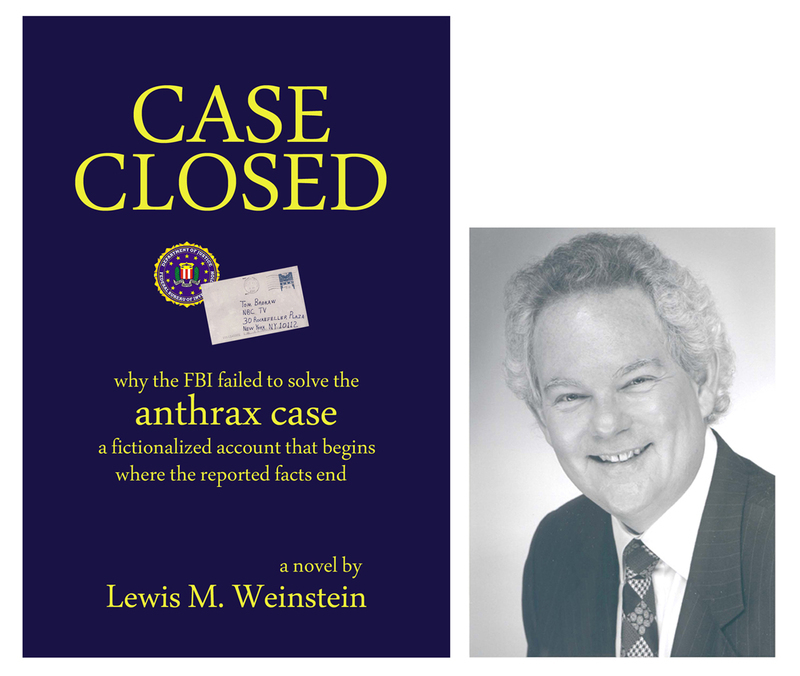 see a report on that seminar at … * Amerithrax experts insist FBI has failed to prove beyond many reasonable doubts that Dr. Bruce Ivins was even involved in the anthrax mailings, let alone the sole perpetrator … is there more evidence against Ivins that the FBI has not released? has the FBI actually failed to solve the case? or does the FBI know who really did it (not Ivins) but does not want to reveal the true perpetrators? This entry was posted on December 9, 2010 at 2:52 pm	and is filed under Uncategorized. Tagged: * Congressman Holt & anthrax, ** CASE CLOSED by Lew Weinstein, ** NAS anthrax study, *** 2001 anthrax attacks, *** FBI anthrax investigation. You can follow any responses to this entry through the RSS 2.0 feed. You can skip to the end and leave a response. Pinging is currently not allowed. Katona states that the last delay to the release of the NAS report was because the FBI recently submitted more information that they wanted the NAS to incorporate? What was his source for this? Any idea as to the nature of the last minute submittals? I also heard this. I don’t know what Katona’s source is. Maybe someone at FBI actually read the lead in bullets NAS report and realized the whole Amerithrax science case is a crock. Representative Rush D. Holt, Democrat of New Jersey and a physicist who has often been critical of the investigation, made the remarks in a letter Thursday to the F.B.I.’s director, Robert S. Mueller III, saying that he found the bureau’s request for a delay “disturbing.” The F.B.I. has told the committee that it wants to turn over an additional 500 pages of investigative documents not provided previously, despite the committee’s request for all relevant material when it began the review in April 2009. The seven-year investigation, by some measures the largest and most complex in the history of the Federal Bureau of Investigation, concluded that Bruce E. Ivins, a microbiologist at the Army’s bio-defense research center in Maryland, prepared the deadly powder and mailed it to two United States senators and several media organizations. The F.B.I. has made public its circumstantial case against Dr. Ivins, including genetic fingerprinting linking the mailed anthrax to a supply in his laboratory and his late hours in the lab in the days before the two mailings. Dr. Ivins killed himself in 2008 and was never criminally charged. Some of his colleagues at the United States Army Medical Research Institute of Infectious Diseases say they do not believe he was guilty. The F.B.I. had already paid another former Army scientist, Steven J. Hatfill, a settlement worth $4.6 million to drop a lawsuit saying the bureau had falsely accused him of being the anthrax mailer. E. William Colglazier, the academy’s executive officer, said the F.B.I.’s request was a surprise and came after the bureau saw the panel’s peer-reviewed final report, which was scheduled for release in November. He said the committee’s 15 members, top scientists who serve as volunteers, were “exhausted,” but that the panel agreed to extend the study and consider revising the report in return for an additional fee, probably about $50,000, beyond the $879,550 the F.B.I. has already paid for the study. Dr. Colglazier declined to say if the report was critical of the F.B.I.’s work but said it was “very direct.” The report sticks to science and does not offer an opinion on whether Dr. Ivins carried out the anthrax attacks, he said. In September, the Government Accountability Office, the investigative arm of Congress, agreed to conduct its own review of the F.B.I.’s anthrax investigation, with a broader approach that also covers security measures at biolabs. Dr. Ezzell supplied Edgewood Ames in a soil suspension. You could ask him. He’s very forthright. I’ve previously pointed out to you the article by Theresa Koehler on growing anthrax in soil. Word begins with rhizo… The research dates to 2001 or so. When I deleted my list of possible reasons silica was found, Ed called up the FBI and told them I was a terrorist who was trying to cover my tracks! Ed Lake quotes the following as the definite summary of the evidence. Well actually this has a few changes from the summary but its not just close enough, its closer. Ed Lake was quoting Nancy Connell, as opposed to some radical thing.